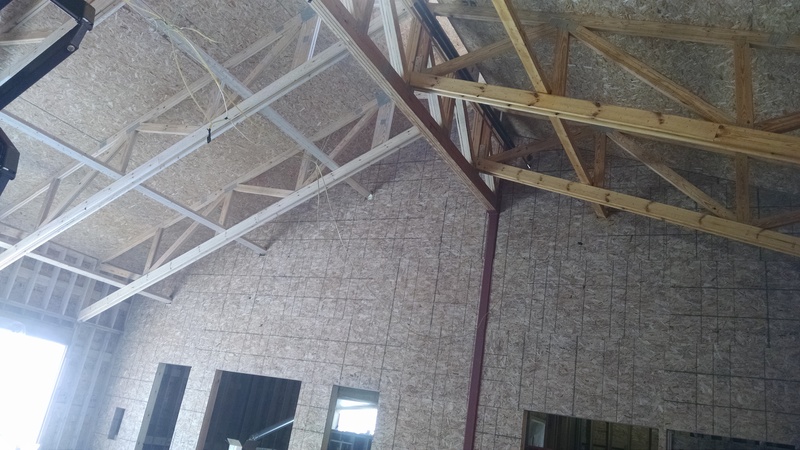 In rooms where the trusses have been completely stained, Tectum panels are being installed. Tectum is a nature-based, sound-absorbing system. This will reduce noise and improve the acoustics throughout the building. 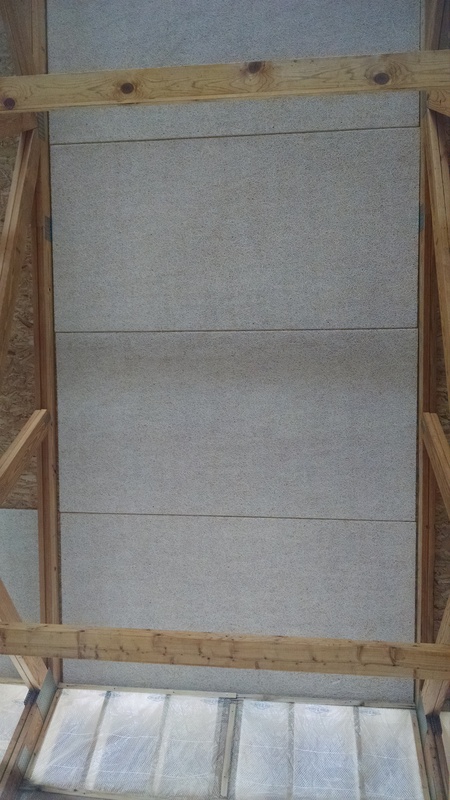 The Tectum panels come pre-finished. In the auditorium: the FSC certified pine trusses on the right have been finished. Those on the left are still unprotected wood. Tectum is manufactured in Ohio, and the raw wood that go into Tectum come from Wisconsin, Michigan, Illinois, and Ohio. The panels come in standard widths and are cut to length at the factory, minimizing waste and minimizing installation time. Inside the main exhibit area, looking up at the ceiling. Tectum has been installed. Tectum is made from the fibers of Trembling Aspen, a tree that regrows in 10-15 years and reproduces by suckering. This allows the same trees to continually grow and be re-harvested. The trees and the harvesting process are Forest Stewardship Council certified. The thin strands of aspen are compressed together, creating significant void and texture that absorbs sound. 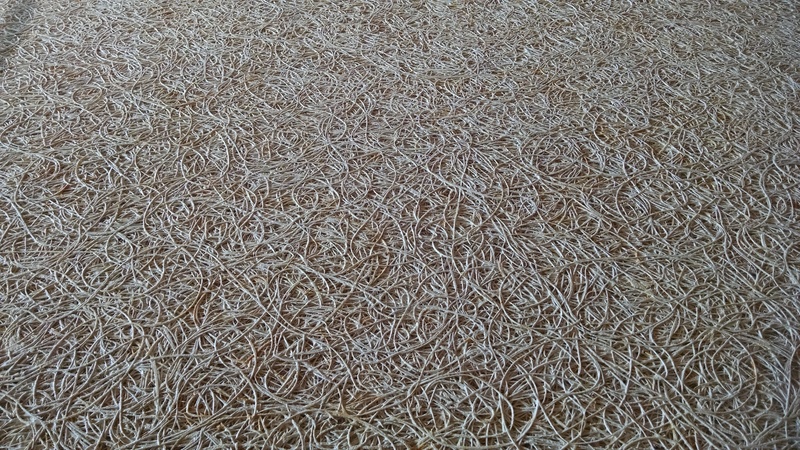 The surface is finished with white paint.